Today, I visited Nihonmatsu Workshop for Obori_Soma ware. 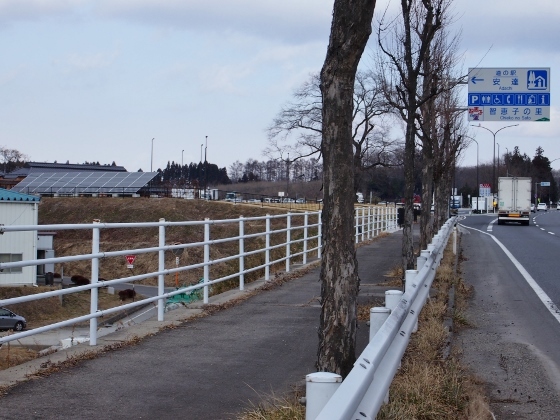 I pedaled on the Michinoku Cycling Road from central part of Koriyama City. 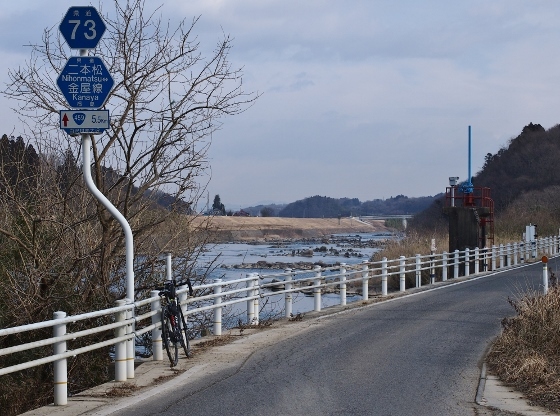 After I arrived at the end of the cycling road, I changed to the local Route 73 along the Abukuma River until I reached Nihonmatsu City. 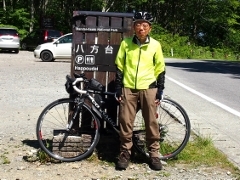 The local Route 73 also went along the Abukuma River and it was a pleasant ride with fine scenery and with little traffic. 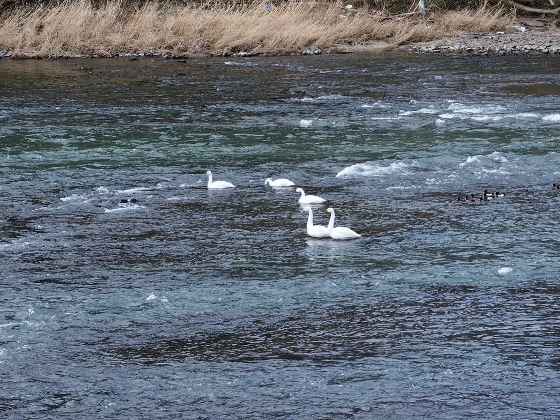 On the way I found a group of swans in the river just besides the Clean Center of Motomiya City. I was surprised that they were also at here. 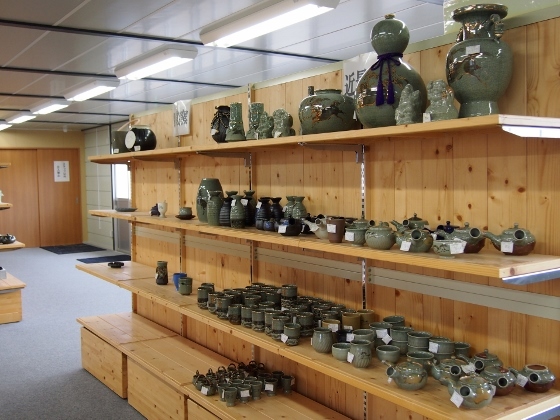 Nihonmatsu Workshop for the Obori_Soma ware was in the Ozawa Industrial Park of Nihonmatsu City. 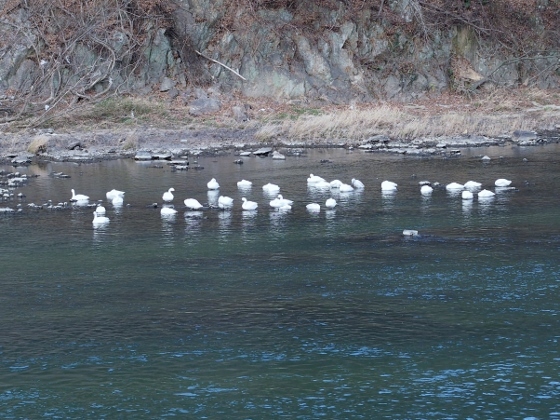 It had been located at Obori Area of Namie Town before, however, since the area had been designated as "difficult to return area" after the nuclear accident, they were forced to come here. 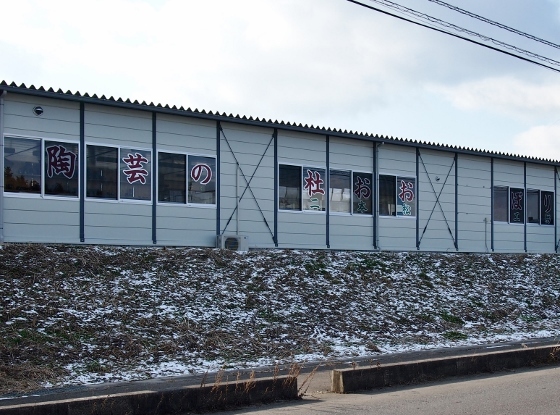 The above pictures show the outside views of the workshop. 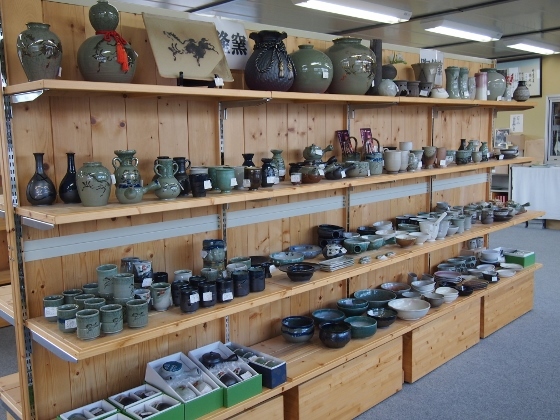 They also did display and sale of their ware products. The above pictures show displays of ware products inside. 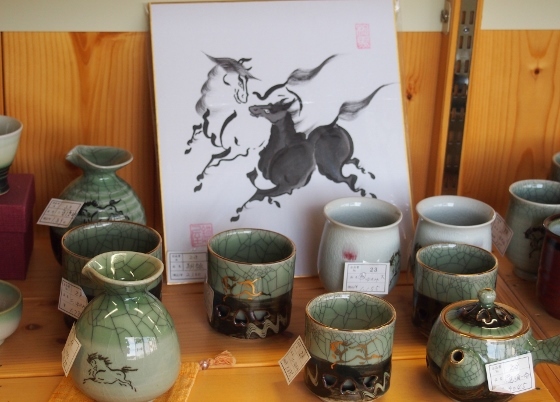 A feature of Obori_Soma ware was a picture of running horse drawn on the ware. Some of them had the running horse on the inside bottom. Other features were doubled side and the special crack pattern. (Please refer to the picture above.) Due to the doubled side it was not hot on the lower part of the outside even it was hot inside. 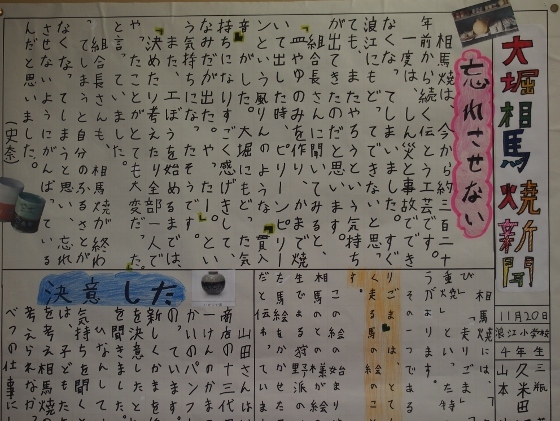 An essay by a schoolgirl shown in the picture above expressed the real sound heard after burning wares. 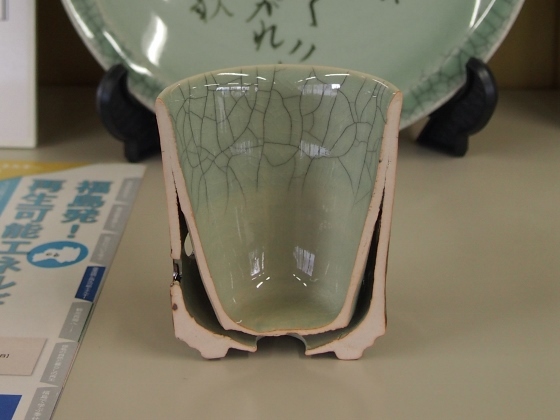 The Obori_Soma ware was designated as a selected heritage of Fukushima Pref. 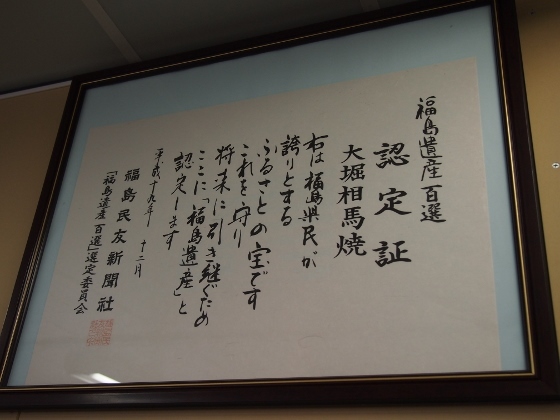 Furthermore, it had been designated Traditional Craft products by the Ministry of Economy, Trade and Industry. 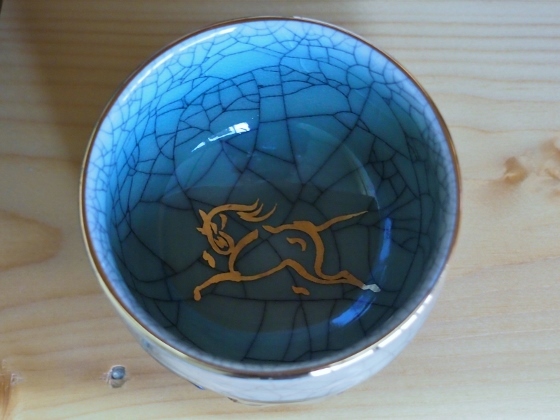 Since the price was very reasonable I bought a large size teacup for trial. 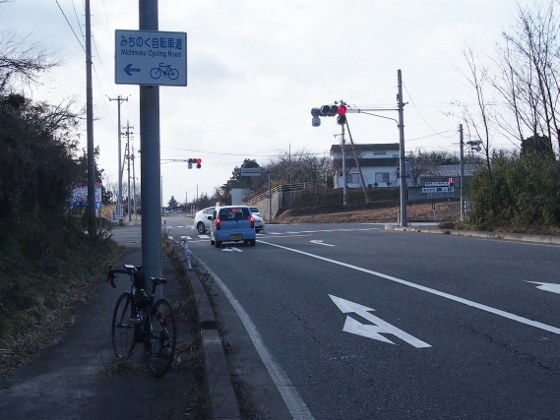 On the return route I stopped at nearby Road Station "Adachi" for outbound traffic. 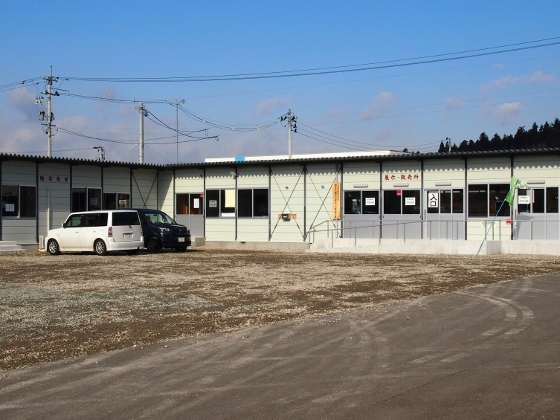 There were two "Adachi" Road Stations for inbound and outbound traffic. 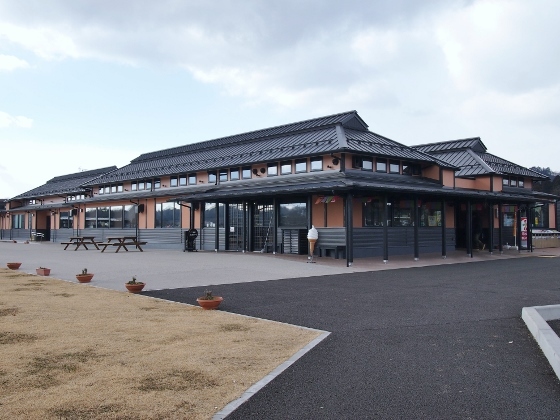 The Road Station "Adachi" for outbound traffic had solar panels shown in the left side of the above picture and they supplied enough power for the operation of the station.